We all looooove hitting the publish button! Come on – it’s the best part. 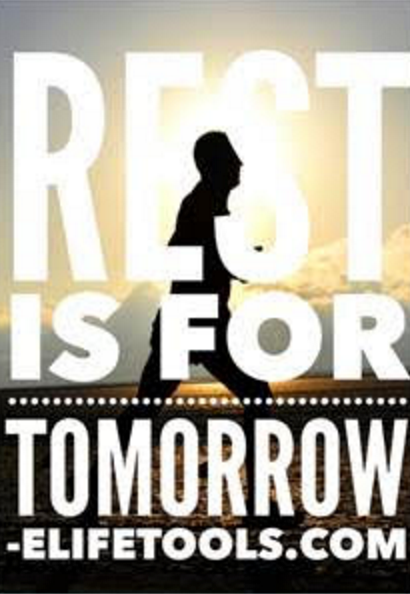 …BUT there is a lot of hard work that goes into a post. With 2 MILLION blog posts being written every day (yup you heard me right), you have to go the extra mile to get noticed in this uber-competitive world. Follow these steps before you publish, and your article will be shared more and be better SEO optimized for search rankings. This is a pretty massive article… over 2700 words, so feel free to use our quick guide below, or sit back, grab a coffee, and commence scrolling. Is Your Article Social Media Friendly? What’s the Word Count on Your Content? Influencers should be an important part of your pre-publication strategy. If you have not already quoted, linked to, or shared something about another top influencer in your article, add this before publishing. Who is an influencer you may be asking?? They are bloggers and online personalities that have earned strong domain authority (40 or higher in Moz) and who usually have high social sharing numbers. There are many influencers out there who are already primed to share your work. They either have an interest in your specific insurance subject matter and have written about it, or they have an interest in a topic that is related to your niche. 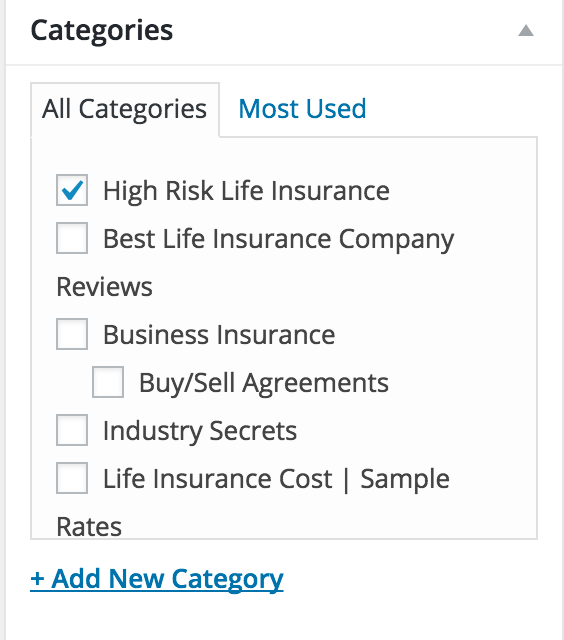 For example, I’m currently working on a “term vs. whole life insurance calculator”. Prior to publishing, I shared it with several personal finance bloggers. Why? They don’t know a lot about life insurance, but they typically all share the opinion that you should buy term instead of whole life. So I sent them emails asking them to review the calculator for me before publishing. Since I included them in the process, when I publish, they are far more likely to share or link to my resource. One thing to bear in mind when approaching influencers is whether of not they are a direct competitor. In the insurance industry someone may be hesitant to share your content if they feel it’s going to infringe on their business. That being said, you can never underestimate the power of relationship building in your niche. I have exchanged links, appeared on podcasts, and guest posted for top insurance bloggers such as Ryan Hanley, Jeff Root, and Jeff Rose. So you never know! If you are integrally involved in your niche – you probably already know who the “famous” influencers are in your arena. For example some of our favourite influencers in the online marketing field are Brian Dean of Backlinko and Neil Patel of Quick Sprout. Both of these gentlemen put out quality content, have a large following and people share, share, share their information. Finding influencers is as simple as pie. Use social metrics tools like Google, Buzz Sumo, Klout & Kred (this is no way an exhaustive list) to find authors and articles that are being wildly shared in your niche. When you pinpoint a list of influencers you can either quote them, mention something about their site or discuss what they’ve been doing. After publishing your article, you can let them know they were quoted, mentioned or referred to, and you’re more likely to get a link or social share from them. We have all heard of click bait…or have been victims of it. You know when you click an attention-grabbing headline only to find out that the article wasn’t about the advertised topic at all. I am not suggesting that you so anything like that – but it does illustrate the importance of an attention grabbing title. Keywords can be boring without some special attention. Use your creativity to draft an inspired headline that will compel people to actually read your content. If you are using a WordPress site, there is an area just under the title called Permalink. 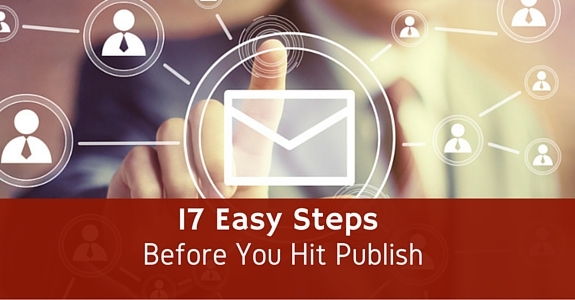 The permalink is a virtual copy of the title I used “10 Quick and Easy Steps to Take Before You Hit Publish”. So the link would default to: http://www.elifetools.com/10-quick-and-easy-steps-to-take-before-you-hit-publish which is long and wordy to say the least. I will clip the permalink down to the relevant only by using the editing tool – deleting all superfluous words leaving “10 Steps Before You Publish”. 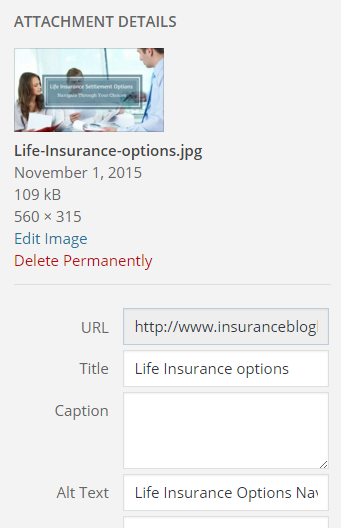 A customized url leaves a neat and tidy link that highlights your keywords! 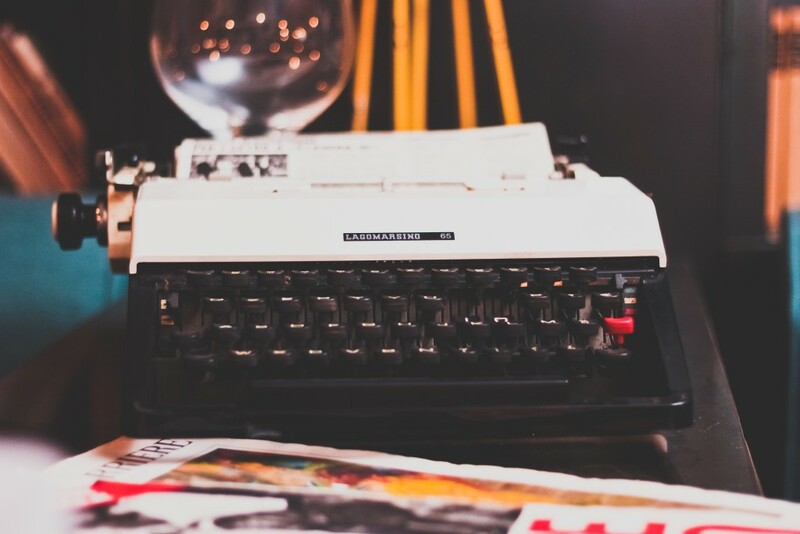 You want your article to be noticed by Google so add your keyword to the first few paragraphs of content, preferably in the first 50 to 100 words. It also helps to sprinkle your keywords throughout the article without being spammy. Gone are the days of repetitively typing keywords throughout the text of your document to get traffic. There is no way to provide quality content when you keyword stuff your articles – and as we all know content is king! Link out to people in completely different industries that provide high quality content about your topic. For example, if you are writing about life insurance for college students, you may decide to quote and link out to someone discussing car accidents that resulted in college student fatalities. Second: Now it’s time to decide if I want to use the source as a quote or a general resource. I opted to write about College Drinking as it relates to College Student deaths and will use this site as a general resource. As you can see there is a link at the top – http://www.niaaa.nih.gov/alcohol-health/special-populations-co-occurring-disorders/college-drinking – which I will cut and paste into my article (see below). Third: After copying the link above I will click on the icon that looks like a chain link and then I will paste the copied url into the field provided below. This enables a live link on my page. Viola! *Pro Tip: Make sure to select that little box that says “Open link in new window/tab” above. This way, when someone clicks on an exterior link on your site, a new tab will open, so when they are done, your site will still be open on their browser. You can create some AMAZING results on Canva or Wordswag. You don’t have to spend a small fortune on a graphic designer to achieve some pretty wonderful results…and the best part…you don’t have to stop at one. Here is a super cool image I created for Pinterest on Canva. It was as easy as uploading an image file into a pre-sized template. I then selected some complimentary graphic flourishes and fonts and Bob’s your uncle – we have a wonderful image to share that looks like it was professionally designed. First: Size down your image – bulk slows down your site down. 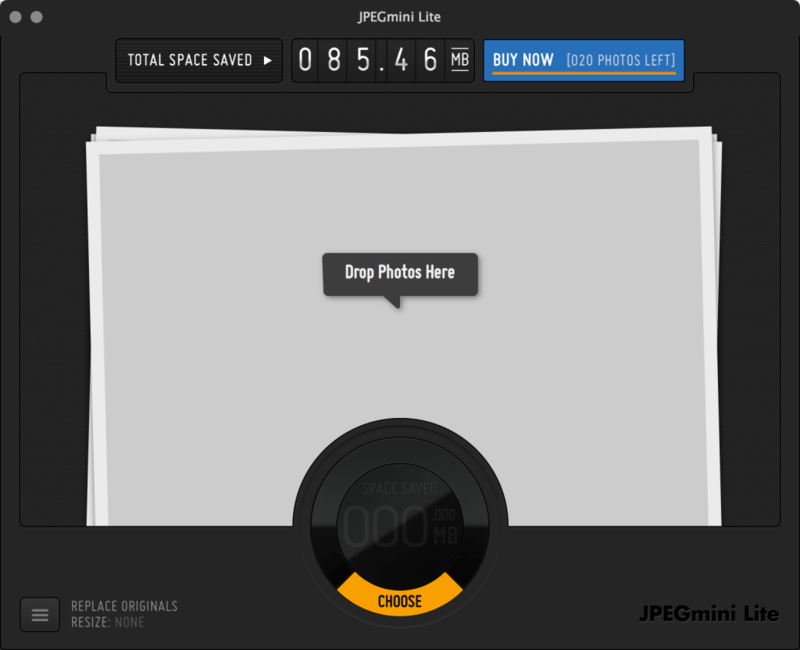 I personally use JPEGmini Lite. It’s free and very easy to use. Just upload your photos and it will cut down the size and save it automatically. Second: Name your image (see below) in the upper right hand corner of your WordPress dashboard there is an option to give your image a title when you upload media. Make sure you use your keywords there. 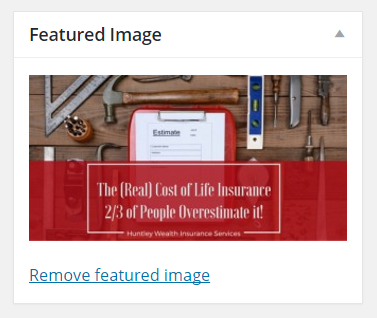 Pro tip: You could even take the step above 1 step further, and prior to even adding the image to your site, save the image with the name of your keyword. This helps with SEO even more. 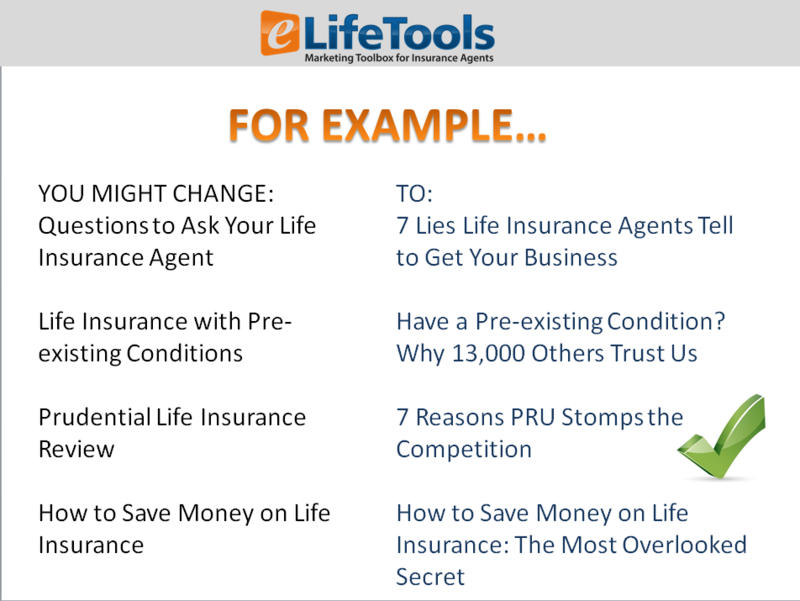 For example, I saved this image “Life Insurance Options” so it became Life-insurance-options.jpg when I added it to my site. Third: Add Alt Text to your images (see above). If you use multiple images, name the main banner image the exact keyword. For additional images, use LSI words (Latent Semantic Indexing keywords), which Google suggests at the bottom of the page when you are searching for a topic. This will help you appear in related search terms. This quick reference should be visible above the fold of the article if at all possible. You can call it “Quick (insert the name of your article/keyword) Guide” or use your keyword with the word “Guide” after it. First: You will need to be sure you have the “Easy Smooth Scroll Links” plugin installed. 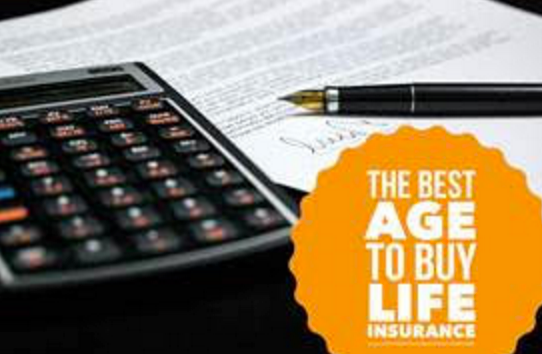 Second: To add a Quick Guide give the section a title such as “Quick Guide to the Real Cost of Insurance”. We like using heading style 2 in our posts.For each main subheading add a bullet point. So for the article in the image above, you can see we have 5 main topics discussed in the body of the posting. Third: Highlight each bulleted section and press the link button and assign the topic a word that will be added as a link. Before the word you will add a hash tag. For example I used the word #LIMRA for the first bulleted point. See below. Update the link and move to the next step. This will bring up a dialogue box and you will add the anchor word you used in the link above, without the hash tag. For this example I used difficult (remember to remove the hash tag). When this is done you should have an active link in your post that will bring you to the topic when pressed! Pro Tip: The anchor and link are case sensitive. So in the case above, if I used #limra for the link and LIMRA for the anchor text, the scroll down effect wouldn’t work. Fifth: Preview your work. You will not be able to test the link while you are in the dashboard. Use the preview option to make sure you got it right. It’s very easy to make a mistake! Block quotes look great and they are a wonderful way to give credit to people who you are using as a resource to build out your post! This is VERY important! What do you want to achieve by writing this article? Your public wants to know. Some great examples of calls to action are: Call us at (insert phone number), get a free quote (insert directions), Share with a friend, etc. Create primary categories that your site will be focussing on and then assign each article to the appropriate topic. This makes it easier for readers to find the content they are looking for when reading your content. 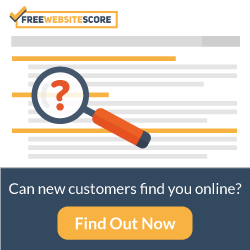 People have a very low threshold for confusion – and will leave your site if they cannot immediately access what they are looking for. If you are working with WordPress the category box is located on the right hand side bar. The image you use at the top of the article is typically set as the featured image. 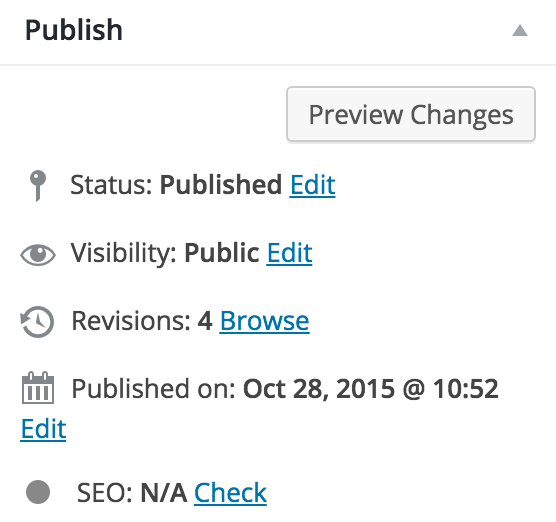 The featured image tab is located on the lower right hand side of your WordPress side bar. You should pick out an image that you feel is representative of the purpose of your posting. We like to use banner images that contain the title. Linking to topics that you have written about in the past, in the body of your current post, is a terrific way to offer your readers more complete information. Not only will this make your article a more in depth piece – but it will keep readers on your site for longer. Bonus! Pro Tip: Don’t just highlight the word insurance 5 times, and link to your old pages from that word. This is also your chance to get a bit of SEO value for the current post you are about to publish, and your older posts, which will help both of them rank in Google better. So be sure to link to your old posts with relevant anchor text. See the prior sentence for a good example. 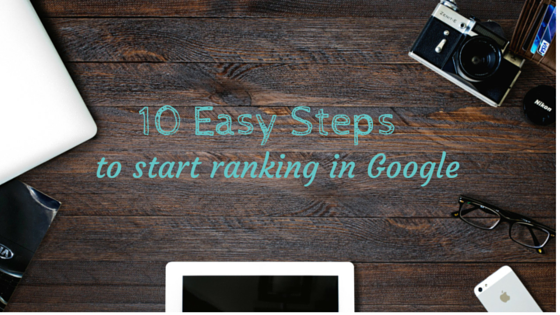 I linked to another post on eLifeTools about ranking in Google and used the anchor text “rank in Google”. It’s not rocket science people. Step 14 – Is Your Article Social Media Friendly? 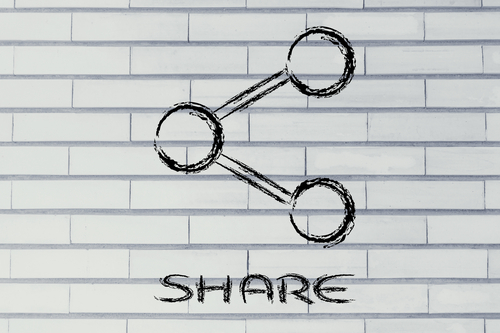 Provide a means for readers to share your content. There should also be a plan of action to promote your piece on Facebook, Twitter, Instagram, Pinterest, Tumblr and any other social sharing tools you have prioritized. Sharing is caring! Step 15 – What’s the Word Count on Your Content? What is the purpose of the article? Are you looking for social media shares? If so the sweet spot for word count should be from 600 – 1250. If on the other hand you are more concerned about Google traffic you should aim for approximately 2500 words of well researched content. There is nothing like a well-written article to keep people coming back for more. Spelling, grammar and accuracy are the hallmarks of a timeless piece that will have people talking for years to come and that is exactly what you want to happen. Sloppy, ill-thought-out postings will undermine your credibility and will drive people to other resource. Something you absolutely do not want to happen. Your preview button is your best friend and will save you many, many headaches! Trust me when I tell you this. You can check out how your post will look live. The back end does not always reveal issues with images, block quotes and highlighted sections. It only takes a minute. Do it.